The Chameleon HYBRID-MICRO is a lightweight highly portable broadband antenna system designed to offer maximum portability and performance. The antenna weights about 1 lb. 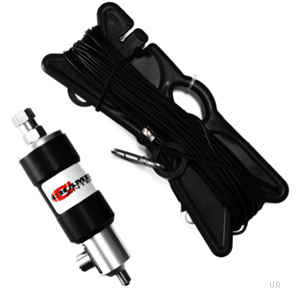 The antenna will operate at all frequencies in the 1.8-54 MHz band without any adjustment with most modern external antenna tuners. No masts or guying are required. The antenna will work successfully supported by trees, masts, the tops of vehicles or any convenient object or structure. The antenna works most effectively when elevated at a reasonable height. 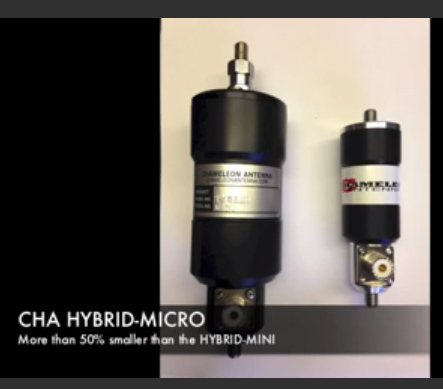 The HYBRID-MICRO is 50% smaller than the HYBRID-MINI making it great for QRP field use.